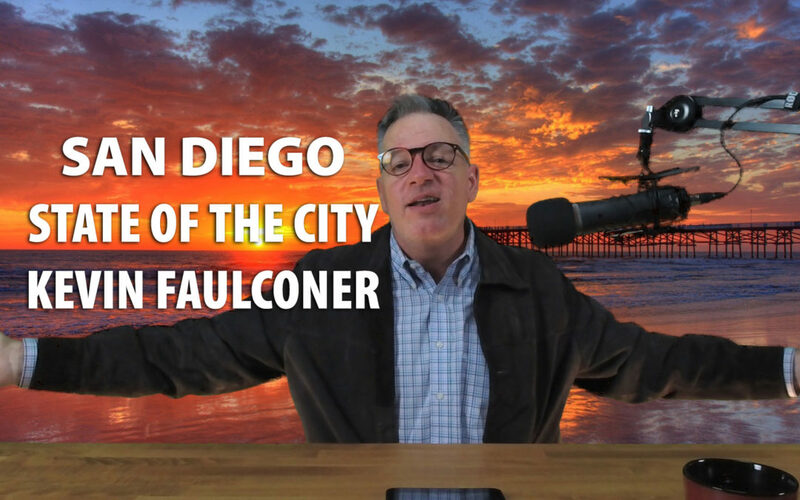 In this JRP episode we breakdown the San Diego State of the City Address from Mayor Kevin Faulconer. We discuss Faulconer’s proposals to address the biggest issues facing San Diego: the housing crisis and homelessness. I was particularly pleased to see the Mayor offering market-based solutions that relax building regulations and zoning laws to make it easier and cheaper to build more housing. I thought his innovative approach to unlimited density in exchange for accommodations for affordable housing and the homeless was a great proposal. We also touch on a variety of other initiatives in his San Diego State of the City Address including Safe Parking, the homeless near the San Diego Sports Arena, micro units, granny flats, NIMBY vs YIMBY, expansion of bike lanes, Clean SD Initiative, the bike lane along the San Diego River, Pure Water Initiative, Community Choice Energy and the Trolley at the Airport. I share my thoughts on a wide variety of topics in a new segment I call The Good, The Bad and the Ugly. We celebrate the work of Tyler Couvrette, applaud the San Diego State Aztec basketball team and discuss recent good work by Congressmen Justin Amash (R-MI) and Scott Peters (D-CA). Then I highlight the Bad and the Ugly with the Government Shutdown, the grudge match between Speaker Pelosi and President Trump, the White House Reception for the Clemson Tiger National Champion football team and the irrational reaction to Senator Rand Paul’s hernia surgery. Finally, I present new developments with the John Riley Project and seek the input of my audience on the overarching theme of promoting Life, Liberty and the Pursuit of Happiness. I discuss my recent social media campaign and invite listeners into my private Facebook group called The John Riley Project – Insiders Group where I offer bonus content not available in my other podcast channels. Plus I share my recent adventure to Albuquerque, my boondoggle to Santa Fe and my upcoming trip to San Luis Obispo including more visits to California Missions.